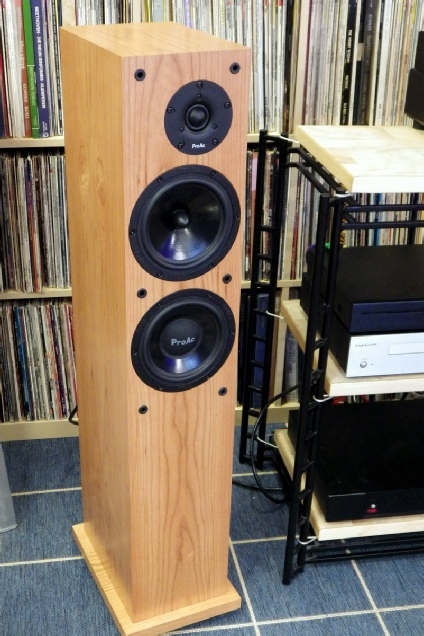 The Studio 148 is the replacement for the Studio 140 which in both mk1 and mk 2 versions were firm favourites here. It’s the same physical size and uses a 2.5 way crossover like its predecessors. The mains changes are to the drive units, gone are the plastic cones used on the mk2 to be replaced by doped paper, and the tweeter has been uprated to the same driver more commonly seen on the more expensive ProAc models. Their 91dB sensitivity means they’re exceptionally easy to drive, suiting everything from low power amplifiers and upwards, which suggest their 4 ohm impedance is actually quite benign. Effortless is a great word to describe these speakers, they always sound at ease, yet never squash the life and dynamics. Their ability to fill large listening rooms is tremendously useful, but their clever floor porting means they’re remarkably unfussy about positioning so they can be used close to a rear wall as well - I’d only recommend avoiding direct corner placement. The paper cones lends them a very natural presentation in the mid band, and the admittedly subtle ‘quack’ of the Studio 140 mk2 has been banished. There’s also much greater transparency on offer too, not that they’re intolerant of lesser equipment, but they really do show the benefits of a well setup system.